It’s rare that artists release works that rank among their most accomplished decades-deep into their career. Chalk it up to rock n’ roll culture’s “better to burn out than fade away” mentality, or finite creative reserves if you will. Regardless, the trend makes the moments where a pinnacle arrives late in the game worthy of lionization. Scott Walker’s recent bursts of avant insanity and the noise rock ecclesiasticism found on the last string of Swans albums comprise strong examples. 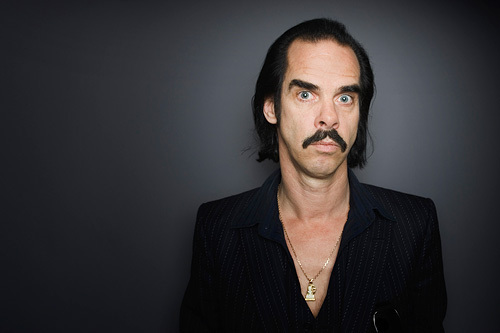 Enter Nick Cave, who has never wanted for strong material in his almost four decades as a musician. Perhaps this consistency is part of what makes his most recent album with the Bad Seeds so remarkable. Released in 2013, Push the Sky Away tackles the idea of memory and the new conditions our digital age imposes upon it (without ever being so coarse as to use an expression like, say, “digital age”). Along with collaborator Warren Ellis Cave pairs these musings with some of his most beautiful compositions, made up of looped guitars, rumbling bass and restrained strings. This backdrop also provides the perfect antidote to the raging garage rock id Cave expressed on the previous Bad Seeds album Dig Lazarus Dig!!! and his side project Grinderman. Not that there’s anything wrong with raging garage rock id, of course. With an oeuvre as varied as Cave’s, picking a favorite album can be as subjective as picking a favorite color. Nonetheless Push the Sky Away remains mine, both for its maturity and the implications its time of arrival presents. It seems possible, even likely, that at this point Cave could push his craft to even greater heights. The sky will provide no further limitation. P.S. – Anyone on the hunt for a quality rock doc would be well served by 2014’s 20,000 Days on Earth, which provides further (and illuminating) contextualization of Push the Sky Away within Cave’s overall career. Also, Cave mutters a lot of cool things. Why don’t you have a 33 1/3 book on Push The Sky Away? Or any other Nick Cave albums? Agree 100%. Push Away the Sky is the Nick Cave and the Bad Seeds consummate masterpiece. Its their most delicate and hard hitting work to date. Go for a walk with Murder Ballads wailing through your earphones and you’ll never look at your neighborhood the same. Come home, pour yourself several briny scotches as you study Cave’s two lectures–The Secret Life of the Love Song and The Flesh Made Word. Then cook meat with fire as you blast The Abattoir Blues Tour. Finally, sit in the dark and cry as you you soak up No More Shall We Part. You are cleansed. Bon Appétit!